A blog for sharing craft ideas. Brand New! The Harvest Collection by Tilda Is Now Available at Sew And So! Hi there blog friends, Thanks for visiting my blog. I am an amaeture quiller ( is there such a term :). 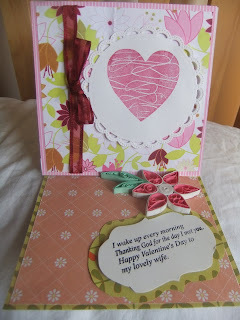 I love to make cards and now a days I am dabbling in scarpbooking. 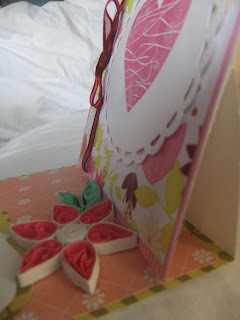 lovely card, love how you did the flower petals !!!! Great easel card. Love your quilled flowers. What a pretty card and lovely to add the quilling.Well done on your first win, many more to follow I am sure. Thank you for the lovely comments on my blog. oohh what a gorgeous project, so glad that you joined us at LIIU this month. Good luck in the draw. Thanks for joining KKKG this week! This is so pretty. Thanks for sharing it with us at Going Grey with Scrap-Creations. 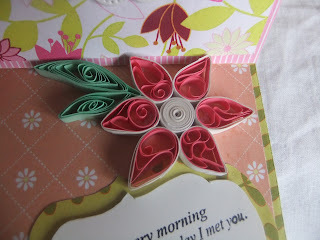 Great card and I love the quilling you have done! Thank you for joining us at KennyK this week!